While reading a few Scrapbook Message Boards, I noticed many thought that Felicity Jane Kits were too feminine to use on a boy Scrapbook page. Not so, my friends! 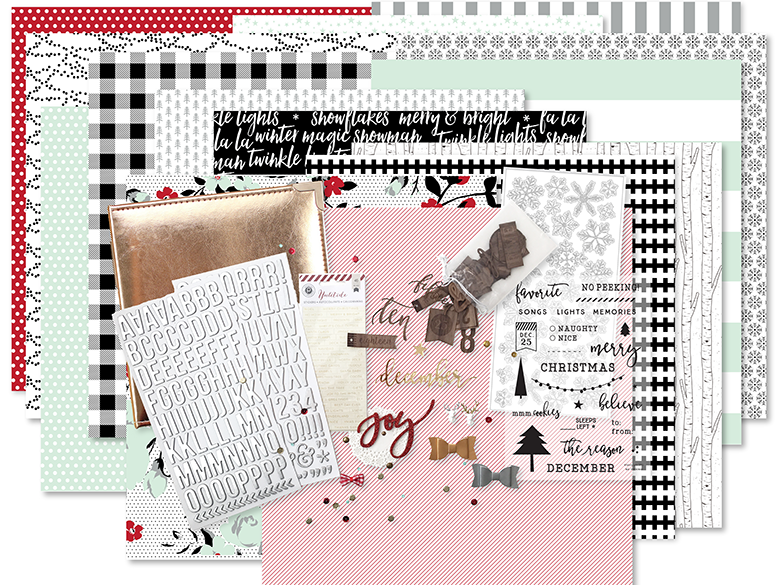 I took the challenge to use only Felicity Jane papers and to incorporate them into masculine scrapbook pages. 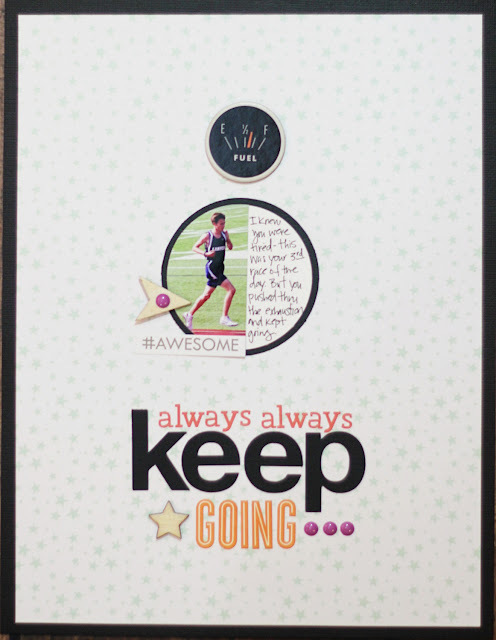 The layout I created today is actually very simple...using a photo of my oldest son running in one of his track races. He was so tired - he had already ran 3 races and well, he was running out of steam. But he pushed through and finished strong. I was so proud of his effort. He kept going. Todays tip: Flip those pretty papers over and see whats on the back side! While there typically are a floral, a polka dot, and a striped paper in her collections, there also is usually a more neutral pattern on the 'b' sides. Definitely flip the kit papers over and check out their backsides! For this challenge, I pulled some older Felicity Jane paper from my stash. The mint star paper is from the December 2015 No Peaking Christmas kit. It is actually the backside of the black and white buffalo check paper in the photo above. At first glance this kit doesn't seem to lend itself to a Spring Track photo, but see! It worked! 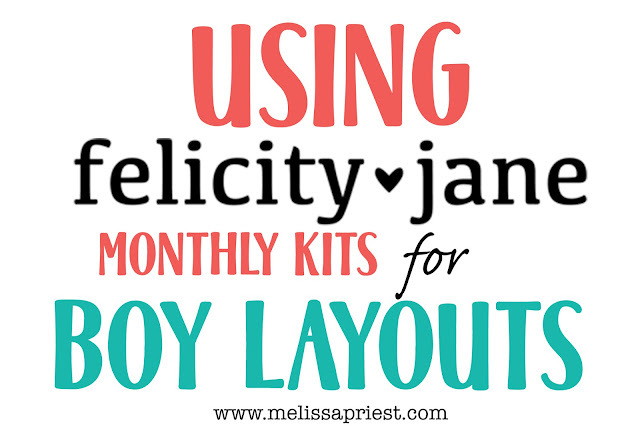 Check back tomorrow when I share another masculine layout that uses only Felicity Jane papers!